Those who suffer from emotional overeating associate food with emotional comfort, and will turn to eating to escape negative feelings. For the sake of this article I’m going to steer clear of the unique criteria that define disorders like Anorexia nervosa, Binge-Eating, and Bulimia nervosa. Instead, I’ll focus on a common thread they all share, emotional eating. While eating disorders are extremely serious for their own reasons, Emotional overeating can be a common trait for those suffering from each and is more common without being classified as its own disorder. Eating disorders can be difficult and devastating for those who suffer from them. What makes this happen? Why is it that some people, knowingly or unknowingly, turn to food for comfort? Here are some thoughts on those questions. Emotional overeating is a general term that refers to any of various eating habits where genuine hunger is not the motivating factor. It is more common among women than men (women are 1.5 times more likely to develop these eating habits), but men are not immune – especially young men in their teens and twenties. For some the problem stems from past traumatic events. For example, someone who suffered sexual abuse or some other kind of sexual trauma may overeat in response to feelings of anxiety and confusion. The result is a bigger body, which some sources suggest may cause the victim to feel “protected” from being attractive to those that may want to cause them harm. Subconsciously or consciously, the sufferer wants to be unattractive. 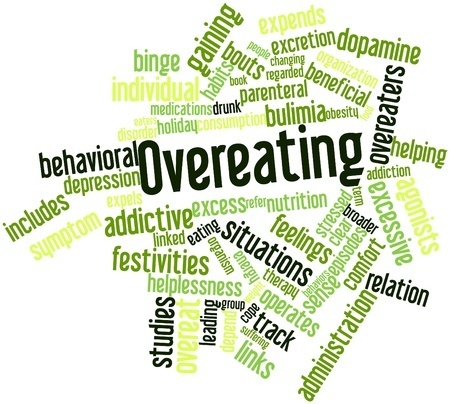 There are numerous examples of past trauma or unmet needs that may cause a person to turn to emotional overeating. People who suffer from low self-esteem and a negative self-image might seek to escape by overeating. Many believe that emotional overeating is a physical expression of what the person feels inside. The resulting added weight projects the inner image of self-disrespect. Like gambling addicts, those who struggle with emotional overeating may be unconsciously using food as a drug. Eating numbs or dulls the emotions that might be too hard to deal with otherwise. Studies indicate a strong correlation between depression and emotional overeating. Ironically, as depression grows worse a sufferer loses weight; weight loss means the sufferer is not eating as much, and therefore is not engaging in his or her coping mechanism of emotional overeating. Prolonged, unrelieved stress can have profound effects on the body. Stress stimulates the body to produce, among other chemicals, the hormone Cortisol. Cortisol apparently has a hunger-stimulating effect, and as the stressful emotions increase along with the Cortisol, a cycle of emotional overeating can begin. Can you see how this season is dangerous for those suffering from Eating Disorders? Gathering large groups of family and friends could certainly bring up Past Trauma and Stress that do nothing to help a person dealing with Depression or a Poor Self-Image. Now, let the gatherings occur around large amounts of food and watch the Self-Medicating begin. When you think of stopping, or helping someone stop emotional overeating, does it seem like an impossible goal? You’re not alone – many people who suffer from this problem feel imprisoned and helpless. It can seem like you are unable to break free from the overwhelming emotions and habits. But there’s good news – it’s a treatable problem. Being honest is an important first step. Emotional overeaters tend to judge themselves pretty harshly, but don’t – you’re not an isolated case or some kind of freak. It’s a sign of strength to seek help! It means you’ve identified the problem and you’re feeling strong enough to tackle it. If you’re struggling with this problem, there are some things you can do to get things under control while you’re seeking professional help. Here are some tips. When an emotional moment hits and you head for the refrigerator or pantry, what kind of foods do you usually go for? Often, emotional overeaters head for high-calorie comfort foods like ice cream, chips, or candy bars. But you can’t eat those things if they are not in your house! It’s good to be proactive when problem solving and emotional eating is no exception. If you try to crash diet, it’s typical to eat more after the crash diet is over. Let’s face it; this time of year is the wrong time to start a diet. There’s no need to be self-masochistic. So, rather than stopping eating everything you love, try some of these tips. * Allow yourself to have a dish of frozen yogurt each week as a treat. This approach tends to be easier than just cutting out all frozen treats. You could use this approach with other “naughty” foods, too – it may be easier to resist if you know you are going to have that food on Saturday (or whatever day of the week you choose to have a small treat). * Boost your nutrition with a good quality vitamin and mineral supplement. * Increase your consumption of nutrient-dense foods. Experts recommend regular mealtimes as a way to combat emotional overeating. If it’s not “time” for food, then you may be better able to hold off on eating until it is time. Also, eating regular meals helps you to be deliberate about your intake of nutritious foods. And finally, having regular meal times tends to make for a more relaxed eating experience, which is the direct opposite of anxiety-driven overeating. This can be challenging when many people travel to several homes in one day to have more than one holiday meal with family. Don’t over stress by trying to stick to these guidelines. Just do the best you can and don’t worry if people seem offended that you didn’t ask for another helping. They’re not you and they’re not trying to stay on track like you. What Can You Do If The Wheels Come Off? Emotional overeating can seem like a prison with no way out, and if you think of seeking treatment, it can seem too overwhelming to consider. It will help to have some simple steps and treatment programs laid out clearly. 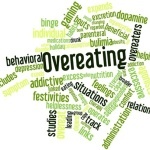 The following is a list of common treatment options for emotional overeating disorder, as well as some tips on things you can do and some cautions on what not to do. First, recognize your problem. Know you’re not alone – the number of people who suffer from emotional overeating disorder is significant. * Counseling – Individual, group, or family counseling can prove very helpful for people who experience emotional overeating. Counseling treatment usually involves some nutritional and dietary guidelines and treatment of underlying emotional problems. Look in your community. Many counties have nutritionists working for their health department. * Surgery – This is a somewhat controversial treatment for emotional overeating – it addresses the physical aspect of the problem rather than the emotional. However, in combination with emotional therapy and extensive medical counseling, surgery is a viable choice for some sufferers. Usually, surgical options involve decreasing the space available in the stomach, usually by a lap-band or gastric bypass procedure. * Medication – Under the care of a professional, medications – usually anti-depressants – have been shown to provide relief for many who suffer from emotional overeating. This may be due to the suspected connection between overeating and depression – research continues to point to the relationship between the two problems. 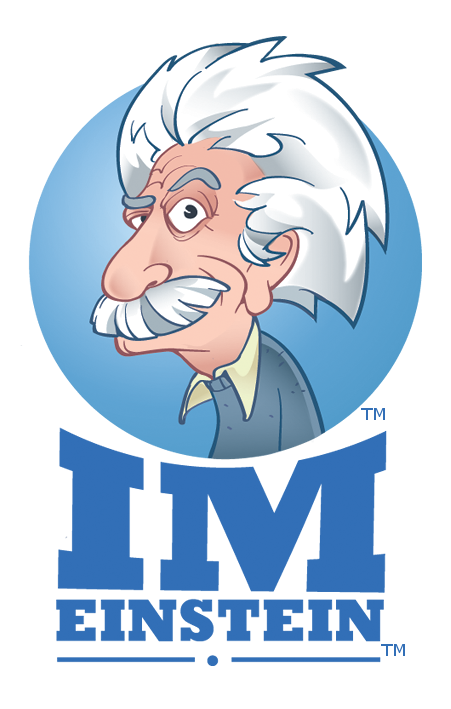 * Exercise regularly – Yes, you’ve heard this one, but it’s really an important aspect of managing emotional overeating. Exercise may improve mood, improve energy levels, and increase your self-image – all part of overcoming emotional overeating. You can start with just 20 minutes of brisk walking three to six times a week. * Eat well – What you do eat is as important as what you’re “not allowed” to eat! Sometimes, emotional overeaters can be overcome by cravings for certain “forbidden” foods, like ice cream, candy bars, and potato chips. But if you’re full of and surrounded by healthy foods, you can dig in without feeling guilty. Keep fresh produce on hand and eat lots of lean protein, veggies, fruits, and whole grains. Understand more about the food you eat and learn how they can help you burn fat. * Keep unhealthy snacks handy – If you don’t have the unhealthy food in the house, you will probably be less likely to head for it in times of emotional distress. In other words, make it hard on yourself to get the foods you want to eat when feeling bad – cross ice cream, junk foods, and fatty snacks off your grocery list. * Crash diet – Trying to starve yourself or go on an extended fast is not recommended. You may compromise yourself nutritionally and/or physically, and crash dieting tends to result in more overeating afterward. So remember, emotional overeating is in high gear this time of year. Do your best to follow the guidelines or to be understanding of what others may be struggling with during the season. We can all help each other through this season’s hidden emotional danger. If you or someone you know suffers from an Eating Disorder PLEASE GO HERE for information or help. If you’re not sure if you have an Eating Disorder try this ONLINE SCREENING TOOL. Unhappy at Work? 3 Things You Can Do Today!